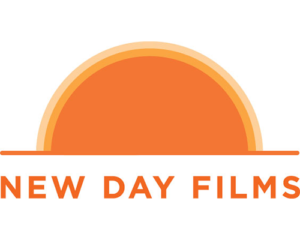 New Day Films is a unique, filmmaker-run distribution company, providing award-winning films to educators, community groups, government agencies, public libraries and businesses since 1971. Democratically run by more than 150 filmmaker members, New Day delivers hundreds of titles that illuminate, challenge and inspire. New Day was initially formed because the women’s movement had arrived and a group of independent filmmakers were unable to find a distributor for their feminist films—so they decided to create one. Today, New Day members sustain the ideals that inspired the company’s formation in 1971 – partnership, great stories and changing the world – and curate its collection to encompass a wide range of subject areas. New Day functions as a participatory democracy whose organizational structure and business practices embody the values promoted by its films.